When it comes to unpaid taxes, Treasury Department employees have the lowest tax delinquency rate among all federal departments. Lots of people haven't paid all their taxes -- including employees of the federal government. The IRS released data this week showing that roughly 3.3% of federal employees and retirees owed $3.3 billion in unpaid taxes as of Sept. 30. That means they either couldn't pay the full amount owed when they filed a return, or they got snagged by an IRS audit and were told they owed more than they already paid. The data, released after USA Today requested it under the Freedom of Information Act, broke down delinquency rates by departments and independent agencies. At the low end of the scale was the Treasury Department, which had a 1.2% non-compliance rate. 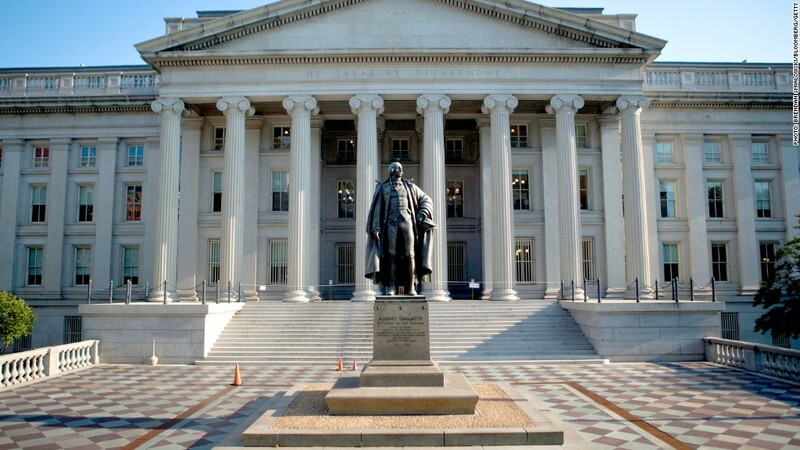 A big part of Treasury is the IRS itself, which had a delinquency rate of 0.9%, according to an agency spokesman. The rate among the population at large is at least 8.7%, the IRS estimates. A few weeks ago the IRS found itself in hot water with Congress for having paid $1 million in bonuses to 1,100 IRS employees who were late in paying their taxes or had willfully understated their tax liability or income. But it turns out the delinquency rate among Congressional staffers is higher -- 4.87% in the House and 3.24% in the Senate -- than those of IRS workers. The government departments with the highest non-compliance rates were the Department of Housing and Urban Development (5.29%), the Department of Veterans Affairs (4.38%) and the Army (4.28%). Among large independent federal agencies, which have at least 1,000 employees, the biggest offender was the Court Services and Offender Supervision Agency (8.05%), followed by the Government Printing Office (7.99%), the Smithsonian Institution (6.7%) and the Federal Reserve's board of governors (6.51%). On the low end of the scale was the National Credit Union Administration (1.75%), the U.S. Nuclear Regulatory Commission (1.97%) and the Executive Office of the President (2.05%).